Hosted by Jonan Scheffler, with guest Nickolas Means. 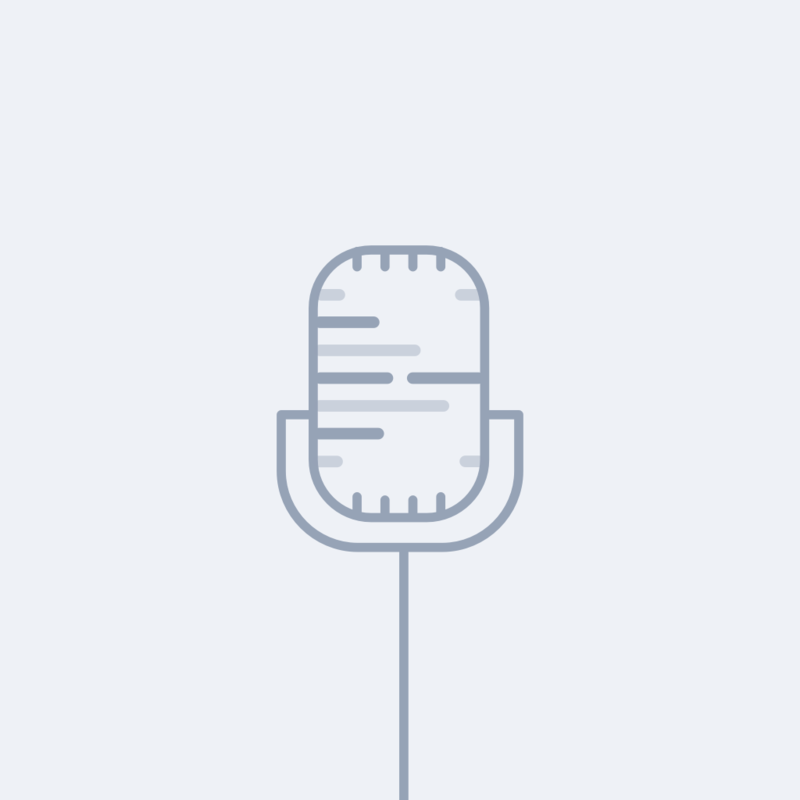 For many developers, public speaking can be an intimidating endeavor. Whatever your experience level, it can be difficult coming up with a topic, formatting your slides, or even identifying which conference to deliver your talk. Whether it's on a technical or non-technical topic, there are tired and true techniques you can use to make sure your talk is an amazing one. We'll go over some of those strategies, starting from the beginning: how to find a conference to present at, what conference organizers are looking for in a CFP, and how to maintain your audience's interest. Nickolas Means likes to tell stories. His conference talks  often center around a curious anecdote, but he deftly weaves both technical and organizational relevancy into them. Nickolas talks about how he builds a talk from conception to execution and goes over some fundamentals of good presentation slides. The goal is to provide a narrative without overwhelming the user with too much textual content. He continues with advice for novices and experts alike, including how to craft a CFP that will increase the likelihood of your talk being accepted. He suggests that new speakers choose a larger conference to speak at, rather than a smaller one, as they have more capacity to provide mentoring. Even if you're not a Ruby or Rails developer, their conferences tend to be very welcoming, and he suggests taking a look at rubyconferences.com to find one that fits. Jonan Scheffler: Hello. Welcome back to Code[ish]. My name is Jonan Scheffler. I'm a developer advocate here at Heroku. I'm joined today by my good friend Nickolas Means. Nick, say hello. Introduce ourself. Nickolas Means: Hello, everybody. I'm Nickolas Means. I am a senior engineering manager at GitHub and frequent speaker at conferences. Jonan Scheffler: Frequent speaker at conferences, which is why I wanted to have you on the show today. I think that you, probably, being the humble person that I know you to be, sell yourself a little short when you describe your speaking at conferences some of the times. Nick is a prolific speaker and has a fantastic presentation style that I admire. I get real frustrated with presentations that bore the audience needlessly. There are some topics that are just dry. I understand it's difficult, but there are small changes you can make to the way that you are making your presentations and making your slides that would be invaluable to holding your user's attention. I bet that you, Nick, have some ideas on how we might do that. I don't think it's easy, necessarily. You have a very unique presentation. It's easy for any of us to recreate it. Don't give away the secret sauce. Nickolas Means: I don't know that I know the secret sauce to give it away if I wanted to. Jonan Scheffler: Right. Yeah. I think one thing that we probably both agree on is that bullet points are a bad idea in a presentation. Nickolas Means: Absolutely. I try to actually minimize the number of words that are in my side deck. I do, typically, only pictures if I can get away with it. Jonan Scheffler: If you can get away with an entire deck that only has photos and no words at all with the slides, you would do that? Jonan Scheffler: We were talking a little bit on the way over here about the value of narrative in this present day. This is a thing that we all learned when we were in school. We've taught to write our first essays. It's like do an outline, right? What are you trying to say? How are you going to get there? You tell them what you are going to tell them and then you tell them and then you tell them what you told them and then you're done, right? Jonan Scheffler: Tell me a little bit more about that, about how you make your presentations around the narrative. Nickolas Means: I think when I first started trying to speak at conferences, I was stuck in that same mindset where I needed three bullet points, and that was my presentation, typical. I don't know. For a better description, like church sermon approach. Jonan Scheffler: You standing on stage and you're just proselytizing. Nickolas Means: Yeah. Exactly. I think the thing that really changed it for me and unlocked some keys to how to do this well was seeing Russ Olson's To the Moon presentation. Nickolas Means: Yeah. Amazing presentation. It included me into the idea that you can just tell a story and make some connections. It's a really resonant way to get people to learn something because they really don't realize they're teaching them anything the whole time. Jonan Scheffler: Right. The thing is that people want to hear a story. They're attached to stories. The collection of data points about a subject is not a story, but if you want to engage me and actually teach me, then I'm going to come along for the ride if it's a story. You get about two to five minutes for free of my attention. You're talking to me. I say five minutes is pretty ambitious, actually. If the topic is really dry, you may not get five minutes of my attention. Nickolas Means: I think that's true for most of us. Jonan Scheffler: Right. If I just keep piling it on, one of the techniques that I've seen used to great effect in a presentation is to keep your individual points that you're trying to make sure it's sweet. In about two three minute period of time, you're talking about one or two slides worth of data and then you're pivoting. You're moving onto another topic and it keeps people's attention fresh. They have to, now, pay attention because they're onto another thing. Jonan Scheffler: Instead of diving deep where they start to suspect. Maybe it's just attentional laziness or maybe we start to suspect that we're not going to acquire this depth of knowledge on this particular bullet point. Jonan Scheffler: It's probably some more coming down the pipeline, right? Jonan Scheffler: When you are constructing a narrative, this presentation you gave here, we're here at Traversal, Traversal Conf in Denver, Colorado. This is the first Traversal, isn't it? Nickolas Means: I think it is. Yeah. Jonan Scheffler: It was adopted from another conference. Nickolas Means: Yeah. From Rocky Mountain Ruby. Jonan Scheffler: Rocky Mountain Ruby was the old conference. It has been repurposed to this Traversal which aims to, I think, bridge software communities instead of just being Ruby specific. Nickolas Means: Just being Ruby. Right. Yeah. Jonan Scheffler: The conference is great. Your talk was very well received. You spoke about the Eiffel Tower. Jonan Scheffler: This analogy for, I would guess, professional relationship management. Nickolas Means: When I started writing this talk, I got the idea to do this when we were in France last summer with my whole family and looking at the Eiffel Tower. I was like "I bet there's a fascinating story there to tell." I embarked on trying to figure out how tell the story without having any idea where it was going, without having any idea what point I wanted to draw from it. About halfway through the research I did for ... I wanted to avoid the building metaphor because that's the obvious thing. It's like you're building software and there's the building of tower. There's a metaphor to be drawn there, but it's too obvious. I didn't want to do that. Nickolas Means: About halfway through, I realized how much political turmoil and effort Gustave Eiffel went through to try to get the rights to build this tower. Jonan Scheffler: The Eiffel Tower, we were talking about as a way to discuss politics, I guess, in the workplace. In the role that they play or maybe communication is a better way to put it. Nickolas Means: It's more about being willing to engage in the process because there's this temptation in software engineers to just keep your head down and write code and let all the stuff happen over your heads. Jonan Scheffler: All the meeting invites. Nickolas Means: There's a stat that I quote from a Wall Street Journal study in the talk where 83% of people choose not to engage in office politics in a meeting or they may pay attention to it, but they don't engage in it. Nickolas Means: The reality is, you actually can't affect to change in an organization without engaging in the political structure of that organization because politics is morally ambiguous. It's neither good nor bad. It's all in the implementation. Jonan Scheffler: ... in most people's minds. Jonan Scheffler: You don't hear a lot of people say, "Well, you know politics." Nickolas Means: I love politics. Jonan Scheffler: I'm not saying it's good or it's bad. Well, most people are like "All right. It's bad. Politicking is evil." Nickolas Means: ... without making people bored, without making them uncomfortable, without making them feel gross. By telling the story and then drawing on specific things that Gustave Eiffel does in the process of securing the rights to build the tower and building the tower, I can teach something about how to engage in politics in a productive way that doesn't feel gross and scummy. Jonan Scheffler: Right. This is the value of having the particular presentation style that you have. Jonan Scheffler: This Eiffel Tower presentation, how many slides had words on them? Nickolas Means: If you don't count labels, none. Jonan Scheffler: All right. You would label the photographs that you had taken things. Nickolas Means: Yeah. There's a lot of photographs that are labeled and then there's a lot of historical documents that have French words on them, but it's pictures of the documents. Jonan Scheffler: ... on average now in the software development communities, but in other communities, I walk by a doctor's convention somewhere and there's a slide with 55 bullet points. They're just all medical terms. Jonan Scheffler: What people don't understand, I think, is that you are doing your listeners a disservice by presenting so much information. You're actually setting them up for failure because as you were explaining the information they're digesting, they're getting it without context. Jonan Scheffler: They're reading your slide and not listening to your explanation of said slide because they're reading at the same time. Nickolas Means: Right. There, actually, is one side that has words on it. It's a tweet from Jason Fried. I may actually remove it before I give the presentation the next time. Jonan Scheffler: You want to take it out, you think? Nickolas Means: I think I want to take it out because I do, definitely, lose a bit of audience attention when that slide is on the screen. Nickolas Means: I use Creative Commons when I can. Most of the subjects I talk about, there's not a lot of stuff out there that's specific enough under a Creative Commons license to use. A lot of its original historical photographs that I use under fair use. Jonan Scheffler: Yes. Okay. You go and you find these images and you are fitting your narrative already. You knew the story you wanted to tell when you started out, which was that you wanted to talk about politics being, basically, unavoidable and yet, 83% of us don't participate. Jonan Scheffler: You are not affecting change in the organization. You're limiting your career growth if you are not addressing this thing. Here is why it's important because someone once did some politicking in order to build an Eiffel Tower. Jonan Scheffler: An Eiffel Tower. Nickolas Means: The politicking that he had to do was with the French government, which is inevitably more bureaucratic than anything any of us have to deal with. Jonan Scheffler: Yes. Aside from the things that we've covered, what other advice do you have for presenters, aspiring presenters, out there? Someone wants to get involved and give their first conference talk. I always encourage people to make this happen early in their career. Jonan Scheffler: What advice you have for them? Nickolas Means: I think one of the most crucial bits of advice is, don't feel like you have to have deep expertise on a subject to get on stage and talk about it. Nickolas Means: The thing you don't realize is that as you build a talk, you will earn your expertise on that subject as you do the research. Jonan Scheffler: Conference driven development. There is nothing that will motivate you to learn like the abject fear of being on stage and appearing on educating. That's a traffic because I will go and submit these abstracts and some of them are talks that I've already got an idea for in my head or maybe I've started some work on, but sometimes, I come up with an idea and I write it down. I'm like "That was a great idea for a talk." Then they accepted and then I have to write it. Nickolas Means: Then you have to write the talk. Nickolas Means: I still remember. My very first conference talk was at RailsConf, and it was on Imposter Syndrome. I remember the initial excitement of getting the email that my talk had been accepted, followed very quickly by the sinking feeling of realizing that I had to actually develop the talk now. Nickolas Means: The talk ended up being a meta-story about getting a talk accepted at RailsConf and all of the feelings that I went through, all of the Imposter Syndrome things that happened. Jonan Scheffler: Nice. That's actually really fun. Nickolas Means: It was really a lot of fun. Jonan Scheffler: Yeah. For those who, maybe, are unfamiliar with the term Imposter Syndrome describing the general feeling that you don't belong that affects many of us in software and in life, in general. Jonan Scheffler: Other tips for them. One, don't worry too much that you don't know your subject matter upfront. You will learn it. You would be driven to learn it. In fact, I have often chosen talk topics based on things I wanted to learn. Nickolas Means: All of mine are that way. My style of presentation requires a lot of research like two or three books per talk, at least. Nickolas Means: Most of the time, when I'm picking a topic, it's just because it's something that I want to geek out about for a while. Jonan Scheffler: Do you read books the same way I did where you put them on your bed stand and then just soak them up while you're sleeping? Nickolas Means: Yeah, a lot of the time. Yeah. Jonan Scheffler: Right. The osmosis approach to learning. Nickolas Means: Caleb Thompson, a friend of both of ours taught me a term for this. It's tsundoku. Jonan Scheffler: Yes, the Japanese term is where I was headed exactly next, which is fantastic. This is a term to describe that you are a book collector. Nickolas Means: Yes. You have many books that you have very good intentions of reading some day. Jonan Scheffler: Some day. I collect books to be read. You choose your topic. You put out your CFP submissions. You can find all of these for the Ruby world, specifically, on rubyconferences.com. Is it a dot com or dot org? Nickolas Means: I can't remember if it's dot com or dot org. Jonan Scheffler: Either way. Try both of them. Jonan Scheffler: One of them says Ruby Conferences. Nickolas Means: You'll get it right and put it in the show notes. Jonan Scheffler: I will put it in the show notes. I'll get it right and I'll put it down. You can go there and find these. Don't get upset when you were declined a lot of times. Jonan Scheffler: It's like applying for a job and you put out 100 and you get a couple back and then you have to write some talks. Nickolas Means: Well, that's another interesting point. The work that you have to do to respond to a CFP is orthogonal to the work that it takes to develop a good talk because the CFP response is really just good sales copy. That's all it is. Jonan Scheffler: Right. The thing that I am typing into this form to get my talk accepted is unrelated to my ability to prepare and deliver that talk, you were saying. Nickolas Means: I have too. Yeah. Jonan Scheffler: ... over the years. Most likely because I have a little bit of a sales and a marketing background. I know how to put a hook in there and my pitch and come on down and learn how to blah, blah, blah, blah, blah with me. Nickolas Means: You know how this is centered on your audience. I've done the RubyConf CFP review before. I've been on the conference committee. One of the things you quickly realize is that most people don't frame their proposals in terms of what they would like to teach the audience. Jonan Scheffler: Yes. That's exactly what I'm looking for in a schedule. When I'm reading through these abstracts, go take one of those schedules yourself and look through all those abstracts. Pick out the ones you admire and ask yourself why. Try and figure out what it is about a good abstract that you like and then just replicate that. Nickolas Means: Sarah Mei has a wonderful blog post. I think the title is, "What Your Conference Proposal is Missing," that goes into a lot of the sales copy and the way to frame your mind around how to write one of these in a way that's going to be appealing to the people that are actually making decisions for conferences. Jonan Scheffler: I really appreciate about the Rails Community that they offer a lot of support to new speakers around that. There are all sorts of mentorship opportunities if you're an unexperienced speaker or you're looking to be mentored. You want someone to look at your abstracts before you go and submit them. There are all these resources in place. Again, I will provide you some links to those in the show notes. Nickolas Means: I think another interesting thing to call out is, when you're a new speaker, it's often tempting to keep your proposals limited to smaller conferences. That's actually a terrible strategy because the smaller the conference, typically, the more selective their talk process is because they want to keep the level of content high, whereas a larger conference has more slots available and can afford to take more risks on newer speakers. Jonan Scheffler: If they don't know that you're an accomplished speaker and they're trying to roll the dice, it's more likely that's going to happen on a larger venue. Jonan Scheffler: Yeah. What scale are we talking about for large? Are we talking about a regional Ruby Conference as opposed to RubyConf itself or are we talking about OSCON or Re:invent? Nickolas Means: I think RubyConf, RailsConf is about the right scale for a first conference talk. Nickolas Means: The other thing I like about those conferences, in particular, is that they employ a blind review process. Their first step is completely blind. You, as a new speaker, are not disadvantaged until after your talk has already been scored by the conference committee. Nickolas Means: Yeah. They wouldn't know anything about that. Jonan Scheffler: This is actually a really valuable piece of a conference screening process. I think there is something to be said for presentation ability. I would like to see an approach that combines that element of anonymity, right? Jonan Scheffler: Because I do think it gets us a more balanced ... A group of people will find something to be homogenous about and they will continue self-selecting to maintain that homogenicity. Jonan Scheffler: This is what human beings do. We put things into groups and we like to do it. We have to fight against that instinct because in situations like that, when you're accepting proposals for your conference if you, for example, have five white men on your review committee for talks, I would be willing to bet the majority of your talks accepted will be written by white men. Jonan Scheffler: White men turns out like the way white men sound. Yeah. You need to mix those things up. The blind review process helps, but what it doesn't help me with is knowing whether or not someone is a charismatic, engaging speaker. Jonan Scheffler: Yeah. I don't think that there is a good way to solve these, unfortunately. Nickolas Means: No. I don't think there is either. It's hard. I think you do a blind stuff. That's a great step. Some conferences after that will ask you to submit a video as part of your CFP process which, as a new speaker, is tough. Jonan Scheffler: Yeah. That is, if you want to be careful that you don't limit people. I've also seen people ask for just video of you speaking about a thing. Or even to get on a hangout. I guess if you do it in a two-phase process like that, maybe it helps to have that, but again, it's a very difficult thing to do well. Jonan Scheffler: ... or something that dives very deeply on a technical topic, what would you advise? Nickolas Means: I don't know if there's a right answer there. For me, my first was, it was a talk on Imposter Syndrome. It was not technical at all. The ironic thing here is, I felt like after I did that talk and I'm successful with it, I had to turn around and do a technical talk to prove myself, to prove that I belong. Nickolas Means: The talk that I did is, by far, my least favorite talk that I've ever done. I was just miserable on stage the whole time I was giving that talk. Jonan Scheffler: It's hard when you are forcing yourself into doing a thing. I always advise people that above all else, do something you're passionate about because that passion comes through. Nickolas Means: It does and you're going to live with it for a while. Jonan Scheffler: Yes. You're going to live with it. Nickolas Means: You don't realize how much time you're going to spend in this topic as you try to develop a talk on it. Jonan Scheffler: It's an involved process if you're doing it correctly. Jonan Scheffler: I think by following some simple rules like avoiding bullet points, understanding that you only get a few minutes to convey a single topic to your audience, pairing all of your points to a narrative that you've established beforehand. Nickolas Means: That's one we haven't talked about yet, and I know it's something that you and I both follow when we build presentations. We both try to weave story through our entire talk. Nickolas Means: There's ways to do that where you're making points along the way and you're not waiting until the end like I do to make your points, but the key is just to have some consistent thread of narrative that winds its way through the whole talk because it gives the audience something to hold on to, something to go, "Okay, what's going to happen next? What's the next bit of the story that I'm going to hear?" Jonan Scheffler: It's a more satisfying experience for your audience. It feels finished, and then just conveying random data points. This is, I think the equivalent of picking up your favorite mystery novel and then just to throw away the last 30 pages but read up until there. The nice thing about a cohesive narrative is to have a beginning and a middle and an end. It finishes and it feels very finished. Jonan Scheffler: You can tell in a presentation when it just tapers off. When you are watching a presentation where someone has run out of minutes to state facts or when they have a be it, right? Jonan Scheffler: I definitely prefer the latter. Jonan Scheffler: Well, thank you so much for joining me today. I think we are ready to wrap up. Is there any last minute advice you would give people in closing here for our presentations? Nickolas Means: I think the best advice is just to do it in general, to get involved, to go give presentations. It's been probably the most career enabling thing that I've done, building my personal brand, letting people get to know me, letting people know what I stand for. When you're in job interview, when you're negotiating for salary, if you have spoken at conferences, you've given your potential employer, essentially, a movie trailer of who you are. Nickolas Means: They have a better idea of what they are buying by bringing you onboard to their company. Jonan Scheffler: And the value that you add to the organization. Nickolas Means: Yeah. It's a credibility indicator. Jonan Scheffler: It is a credibility indicator. I know it's scary. It's so hard to get up there on stage, especially in front of people you respect, your peers. Jonan Scheffler: It's scary. Do it anyway. Jonan Scheffler: It's so worth it. Nickolas Means: Yeah. The interesting thing about that is that once I got into this community, I figured out that some of those people are actually the biggest supporters of new speakers. They will sit on purpose in the front of a room so that they can sit there and be your nodders so that they can smile at you. Jonan Scheffler: Be your nodders. Really good advise. All right. Again, Nick, thank you so much for taking the time. Nickolas Means: Yeah. Thanks for having me. Jonan Scheffler: It's been fun having you. If we have anything else to add as far as resources, please reach out and we'll get them all out there. Nickolas Means: Yeah. Thank you. Absolutely. Thanks, Jonan. Nickolas Means loves telling stories of engineering triumph and disaster. He works as a Senior Engineering Manager at GitHub.